The last one was the result of a jelly roll race. 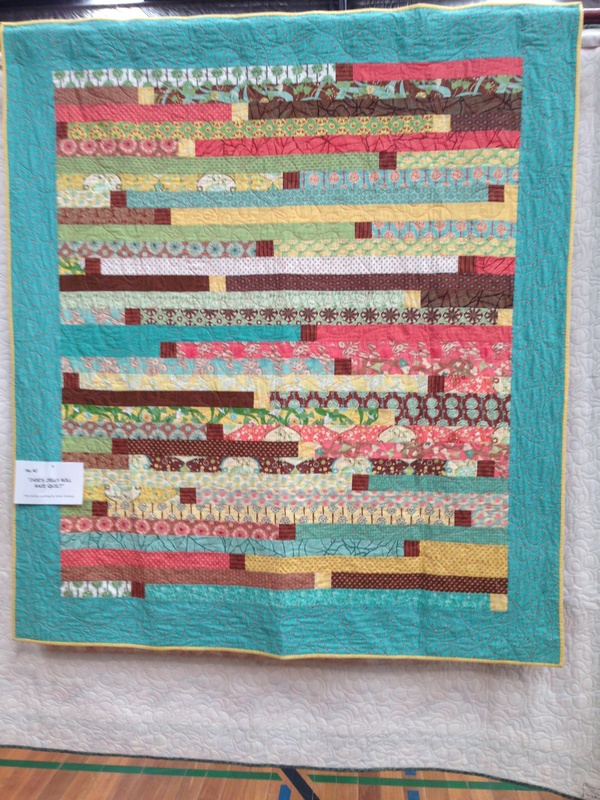 At the Apatchy classes a couple of weeks ago we saw a video of the 1600 quilt made from a jelly roll and it was great to see one made from a race. I will put the link on another page very soon. 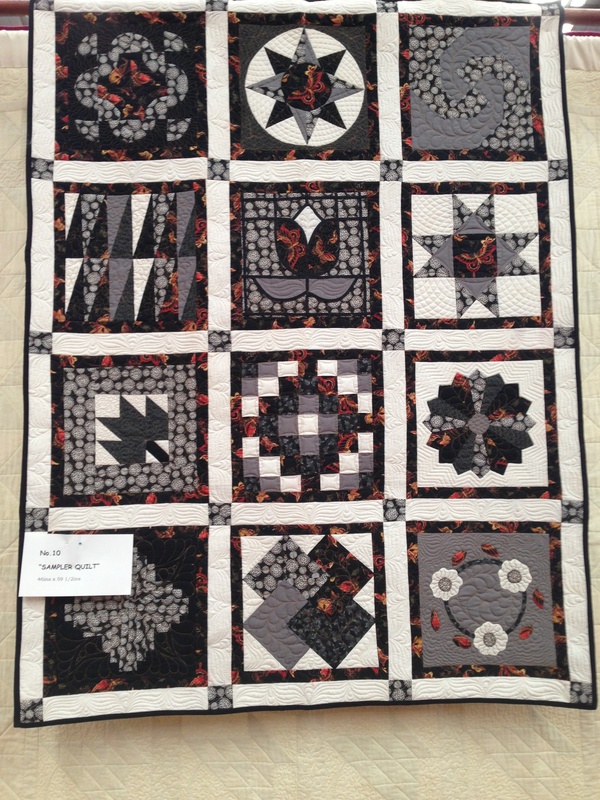 The log cabin quilt is also interesting. I think the log cabin is a very underestimated block and depending on how you place each block you can achieve interesting illusions as in this quilt. I always tell new quilters that, although it may be an ‘easy’ block it can still be striking en masse in a quilt. After a very enjoyable morning tea it was off to the Wood Expo. This event was so popular that there was a traffic jam in downtown Maleny to get to it! It was interesting to see all the blokes looking at all the raw materials and tools and salivating just as we do when we see fat quarters and quilting patterns! There were also some amazing creations – one fellow makes magnificent pieces of furniture including doors with frogs and other animals carved into the timber. 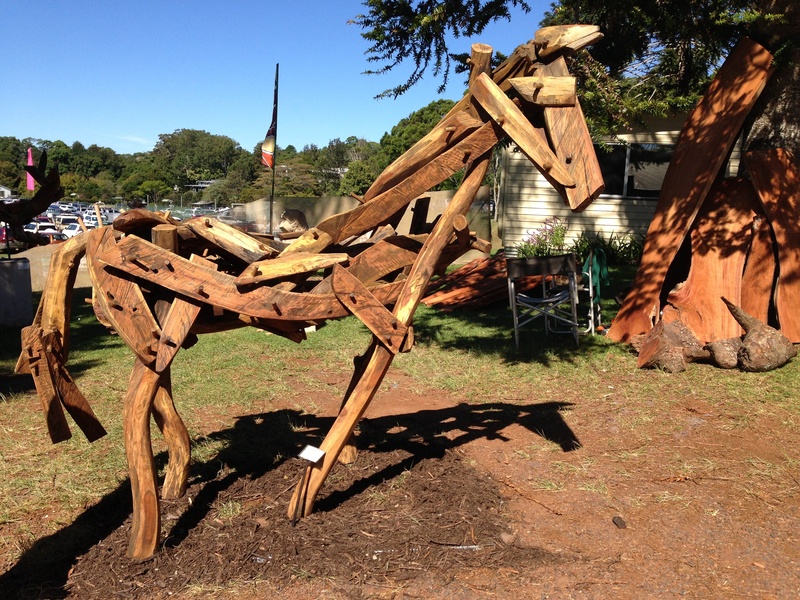 Another innovative artist made this creation from rather more rustic pieces. What do you think about our craft/art? 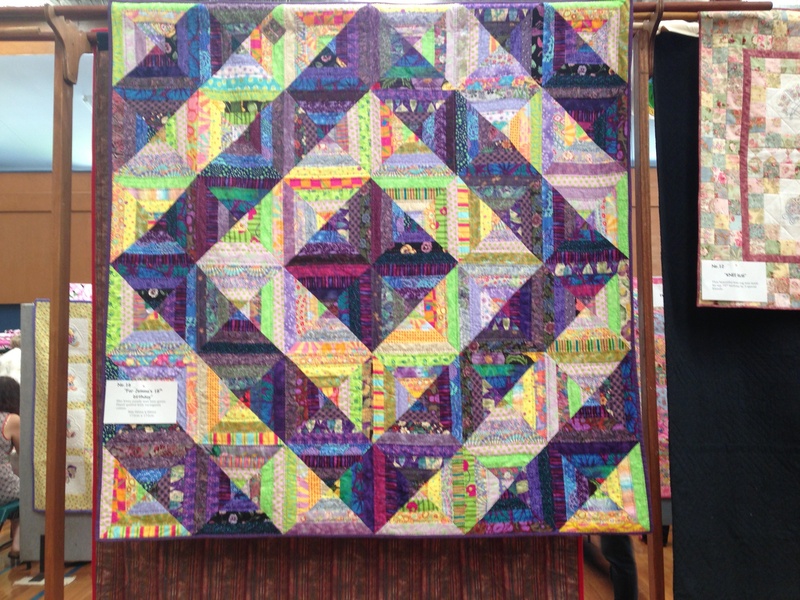 Are quilting enthusiasts the same as others or not? 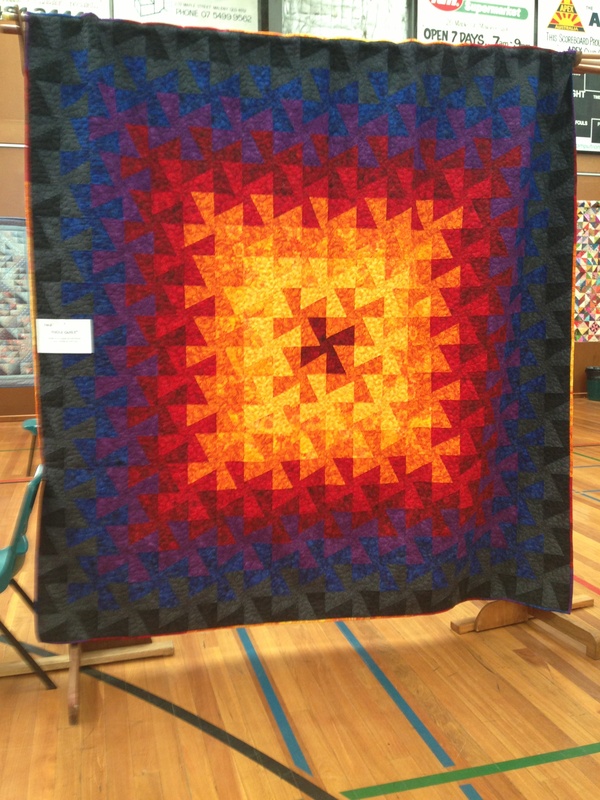 It’s amazing what can spark the inspiration for a new quilt project. Maybe it strikes when you’re browsing through a quilting magazine or when you see a new range of fabric. Colours and designs come together in your mind and a new project is born. Whether you choose a pattern or create your own the thrill is the same. Here in Brisbane we are heading into winter – perfect quilting weather. I hope you have a project or three in mind. If not you might like to check out my boards on Pinterest. Just Go to Pinterest.com and look for Apatchy Kaye or else just call me for a chat. On a trip to Japan looking up at the roof from inside the Kyoto Railway Station necessitated another photograph, the tiled adjacent roofs in the older area of Kanizawa, then of course the inspirations of the natural environment. I will have to live to be 300!